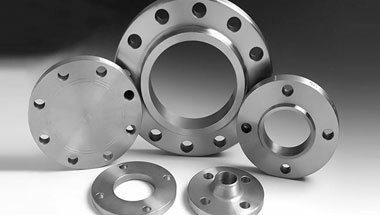 We are Supplier & Exporter of Nickel Alloy 201 Pipe Flanges, Nickel 201 Slip on Flanges, Nickel 201 DIN Blind Flanges, Nickel Alloy UNS N02201 Plates Flanges Manufacturer in India. We are a leading manufacturer & exporter of best quality nickel alloy 201 flanges. Our product differentiation is based on the premier finish of Nickel 201 Flanges with minimum burr on the threads . Neon Alloys are a topmost supplier & exporter of precision high quality Nickel 201. These Flanges have high resistance to temperature, so that it can be used where there is constant exposure of High Temperature, Hot water, Chemical and Gas. Our deft quality controllers perform an arrangement of test on the whole extends guaranteeing its perfection. Nickel alloy 201 flanges are available in different types such as Socket Weld, Slip On, Blind, Lapped, Screwed, Weld Neck, Long Weld Neck, Reducing, Spectacle, Ring Joint etc. The Nickel 201 Flanges are used in Petro-Chemical Industry, Oil and Gas Industry, Nuclear Industry, Pulp & Paper Indusry, Research & Development, Mega Projects & Defense & Development Industries. ASTM A564 Nickel 201 Flanges, Nickel 201 Orifice Flanges, Nickel WNR 2.4068 Forged Flanges, Nickel 201 Socket weld Flanges, Nickel 201 ANSI/ASME B16.5 Reducing Flanges Supplier in India. Egypt, Cameroon, Africa, Iraq, Nigeria, Uganda, Jordan, UAE, Mozambique, Malaysia, Saudi Arabia, Ethiopa, Israel, Australia, United States, New Zealand, Russia, Dubai, Bahrain, Thailand (Bangkok), Vietnam, Trinidad and Tobago, Canada, Houston, Peru, Ghana, Democratic Republic of the Congo, Morocco, South Africa, Kuwait, Iran, Venezuela, Chine, London, Italy, Argentina, Algeria, Brazil, Tunisia, UK, Azerbaijan, Turkey, Germany, Angola, Mexico, Indonesia, Colombia, Sudan, Kazakhstan, Sri Lanka. Tel Aviv, Singapore, Zaria, Benin, Amman, Nairobi, Sharm el-Sheikh, Khartoum, Fez, Algiers, New York, Cape Town, Harare, Kaduna, Manama, Casablanca, Dakar, Istanbul, Colombo, Kampala, Beirut, Cairo, Yaoundé, Jeddah, Brazzaville, Lagos, Giza, Dubai, Ibadan, Mecca, Accra, Kano, Mogadishu, Luanda, Douala, Aqaba, Data from the UN, Conakry, Tripoli, Soweto, Port Elizabeth, Abidjan, Maputo, Jerusalem, Ouagadougou, Omdurman, Maiduguri, Lusaka, Riyadh, Subra al-Haymah, Dar es Salaam, Cairo, Dammam, Kolwezi, Kinshasa, Doha, Bamako, Abu Dhabi, Rabat, Alexandria, Muscat, Durban, Hong Kong, Tehran, Byblos, Addis Ababa, Port Harcourt, Bulawayo, Freetown, Johannesburg, Bethlehem, Mbuji-Mayi, Lubumbashi, Pretoria, Antananarivo.